Compact and portable 360-degree LED light with carrying strap and magnetic base included. Contains 24 ultra-bright LEDs. 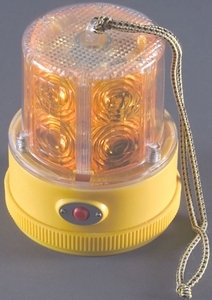 Includes optional use photocell. Runs on 2 "D" batteries. 300-400 hours per set of "D" batteries (Not Included).